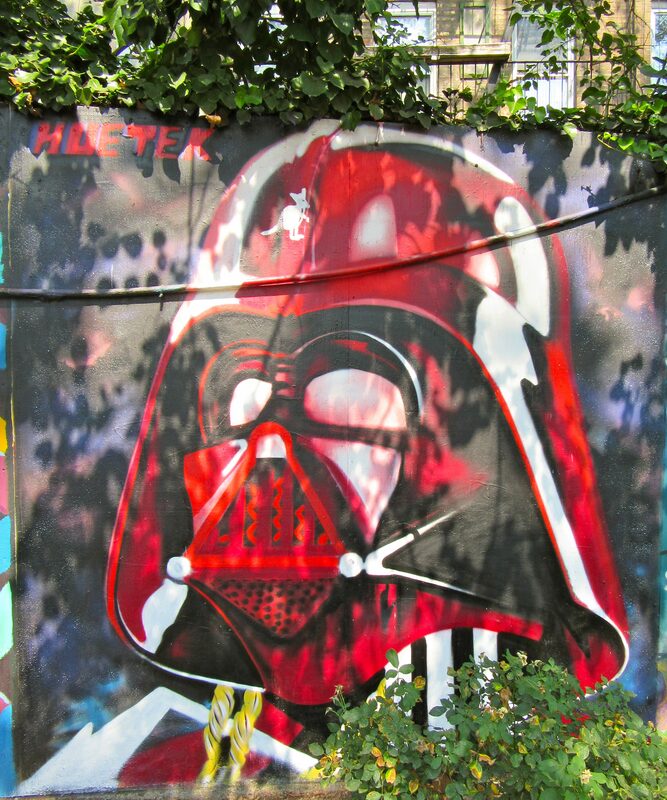 You can see this colorful mural of the Sith Lord Vader (by Street Artist Huetek) in First Street Green Cultural Park, which is located on the north side of E. Houston Street, between 1st and 2nd Avenues in the East Village neighborhood of Manhattan. You can also enter at 33 East 1st Street, which is the official address. 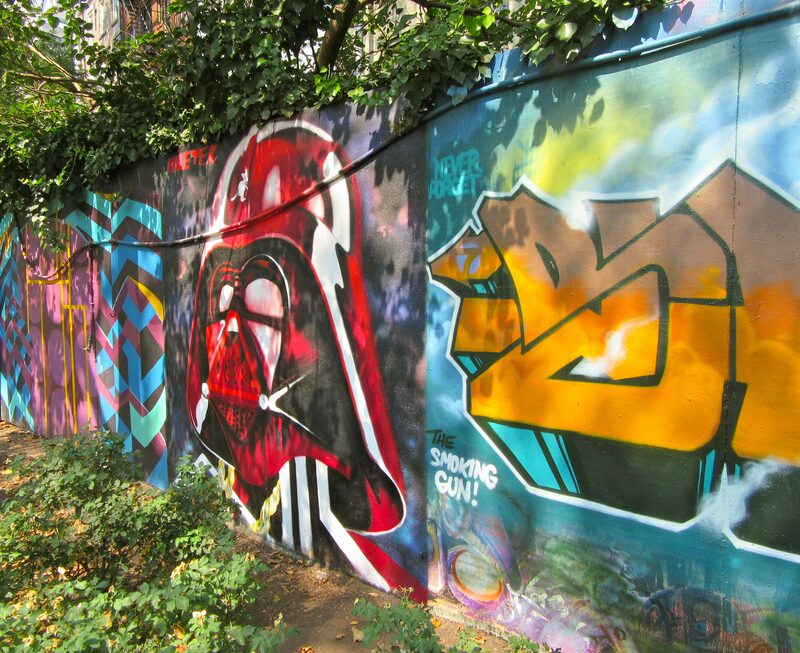 The murals change frequently, so if you want to see this one, don’t wait too long!